Add these dramatic curtained cabanas to any patio to create a warm, intimate retreat. Fit for royalty, these stunning BASTA SOLE® cabanas from Tropitone are made of weather-resistant aluminum. Curtains are crafted from colorful, fade-resistant designer fabrics. A vent allows for increased air circulation. 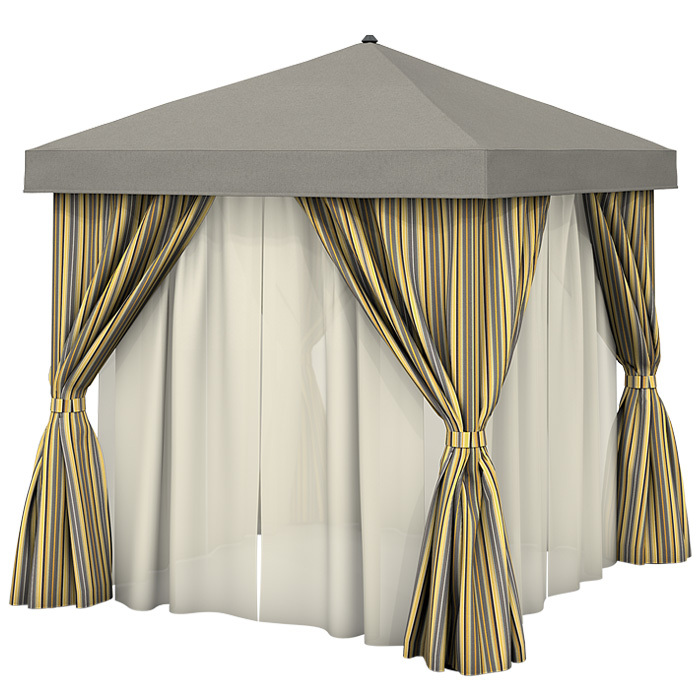 Incite conversation with the addition of this distinctive cabana tent to any patio setting.